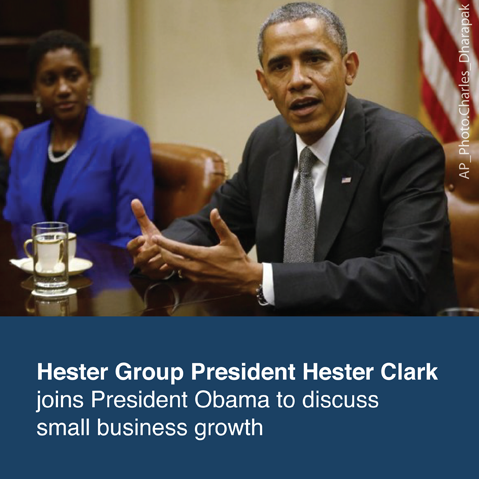 Hester Group is an 8(a) Woman Owned Small Business that provides professional services to federal agencies. Our core capabilities include Logistics Support and Management, Administrative and Technical Support Services, Program Management and Consulting, and Marketing and Strategic Communications. Hester Group is American Express OPEN’s Woman Government Contractor of the Year (2011) and is profiled as an SBA Woman Owned Small Business. Founded in 1998 by Ms. Hester Taylor Clark, Hester Group has grown from a home-based business to a nationally recognized federal contractor. In the early years, Hester Group defined its niche in multicultural strategic communication. Today, in addition to strategic communications, Hester Group manages Logistics Support and Management, Administrative and Technical Support Services, Program Management and Consulting contracts for the Department of Defense and civilian agencies.